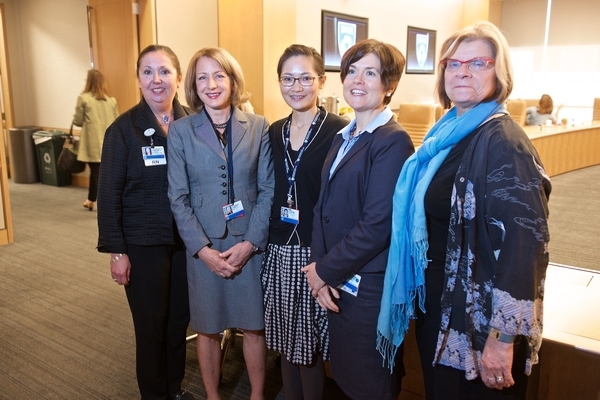 20151007, Wednesday, October 7, 2015, Boston, MA, USA; Brigham and Women’s Hospital held their first annual Discover Brigham day-long research day on Wednesday October 7, 2015.
background  “Discover Brigham brought together the community with the broader Boston healthcare ecosystem to educate and inspire collaboration around innovative science, technology, and medicine. Through investigation and discovery, BWH is an international leader in basic, clinical and translational research on human diseases, with more than 1,300 physician-investigators and renowned biomedical scientists and 1,700 physicians supported by nearly $650 million in research funding. Sessions highlighted the work on cutting-edge topics spanning research and clinical disciplines with the opportunity to change healthcare, including sleep medicine, trauma, and surgery. Other activities include a scientific poster session, Pilot Shark Tank Challenge, and the announcement of the BRIght Futures Prize winner. Discover Brigham is hosted by the Brigham Innovation Hub and Brigham Research Institute. The event was free and open to the public. Discover Brigham was made up of twelve sessions that fell within two tracks that represented the continuum of research and innovation at Brigham and Womens Hospital. The Innovation track highlighted the future of medicine, wearables, the funding landscape, consumer health among other innovations in clinical care. The Discovery track highlighted breakthroughs in sleep medicine, mental & behavioral health, bioengineering, reproductive health, allergy and trauma innovation.